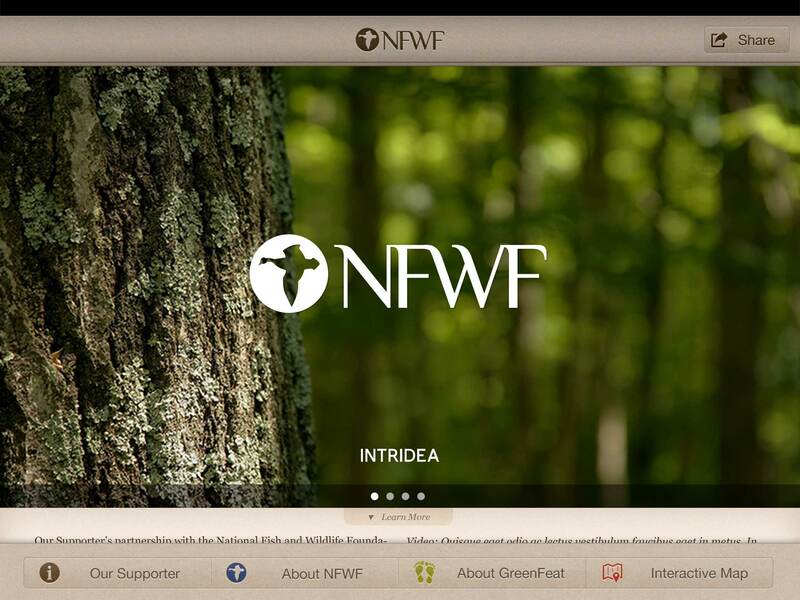 Combining a beautiful user interface, smart-synching backend tech, and a flexible web-based content editor, the system we built for the National Fish and Wildlife Foundation raises awareness of exciting new conservation efforts. Administrators can change photos, videos, descriptions, map data and more. 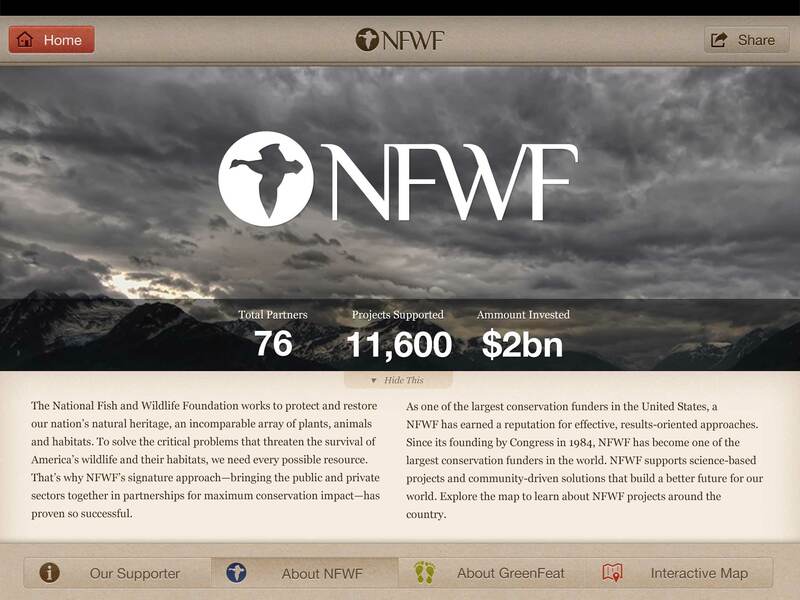 Knowing that we only had mere moments to grab a visitor’s attention, we designed the user experience around breathtaking imagery and simple yet impressive statistics on NFWF’s achievements.